Available from Butler Books Today! 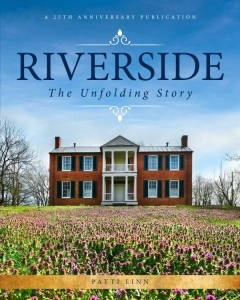 Visit our Museum Store to purchase your copy of Riverside: The Unfolding Story, a new publication about the property, published for the 25th anniversary of the site’s public opening. Or, order your copy directly from Butler Books. Riverside, the Farnsley-Moremen Landing exists to promote, preserve, restore and interpret historic farm life on the Ohio. 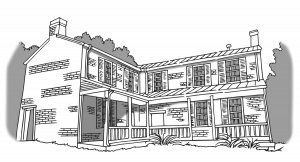 The Farnsley-Moremen House stands as a breathtaking testament to the rich history of agriculture along the Ohio River. Get in touch with the staff at Riverside, the Farnsley-Moremen Landing. We’re happy to answer any of your questions you may have prior to your visit! VIEW OUR DIGITAL ARCHIVE OF MONTHLY NEWSLETTERS. Interested in our past newsletters? View our digital newsletter archive online and catch up on the events at Riverside, the Farnsley-Moremen Landing!